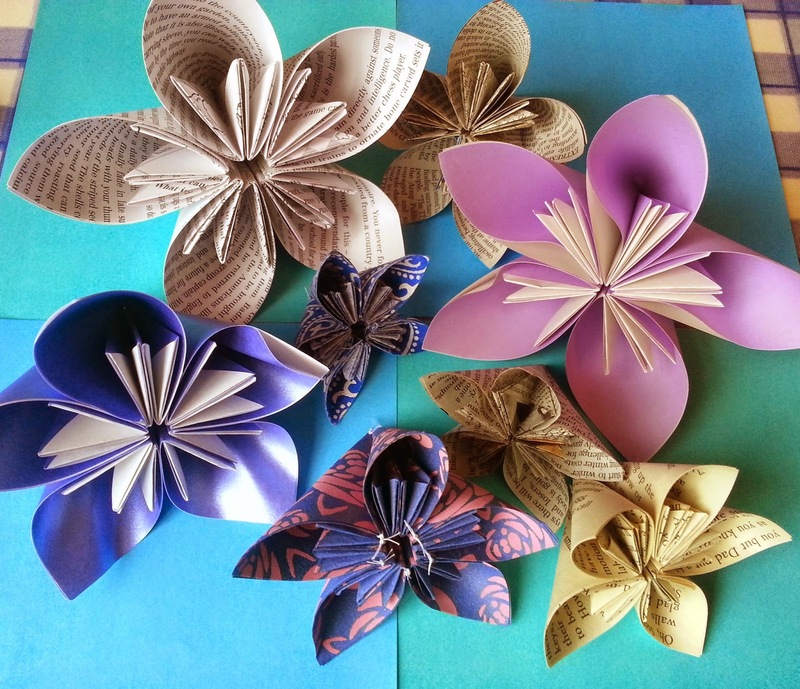 I started browsing a lovely book called "Playing with books" by Jason Thompson with the idea of making a book but got intrigued by these Kusadama origami flowers. I have made a few which I will use as part of an altar decoration for a Sangha meeting tomorrow evening (will post a photo of that after tomorrow). 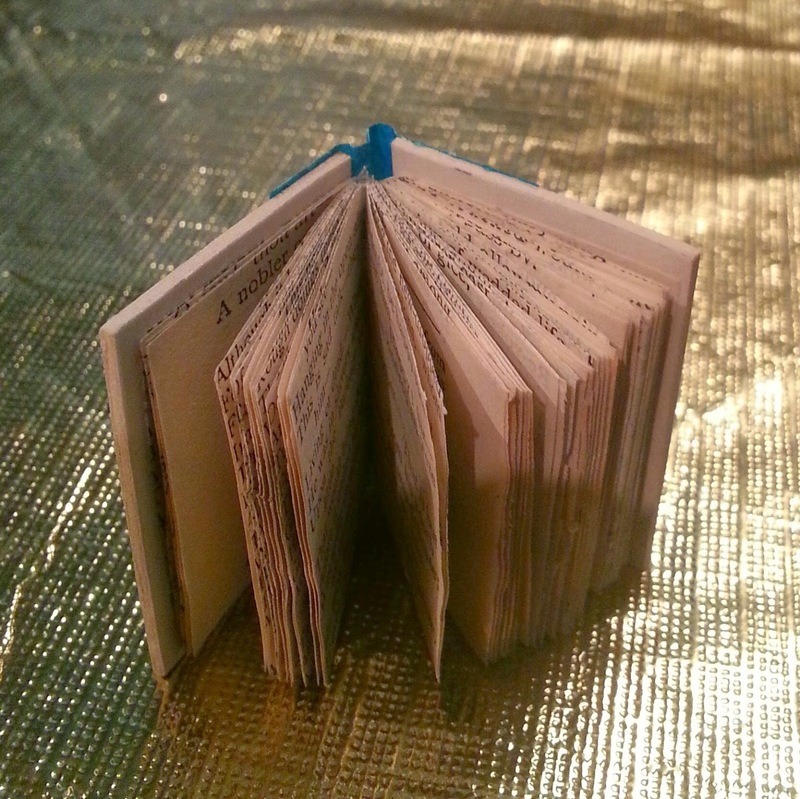 The largest one made from pages of a book is the size suggested originally, 6x6" but I felt that was a bit big so played around with making smaller and smaller ones. The smallest (blue & white) is 6x6 cm. I also experimented with the thickness and weight of paper. I love the idea of using decorated papers but the ones here (blue & pink and blue & white) were too heavy to hold together (using double-sided tape) and I had to sew them together! It's quite hard sewing through thick paper and I ended up bending the needle! So the lighter paper the better! The last ones I made were from newspaper and they have worked really well. Here's a collection of all of them. And a couple of close-ups. 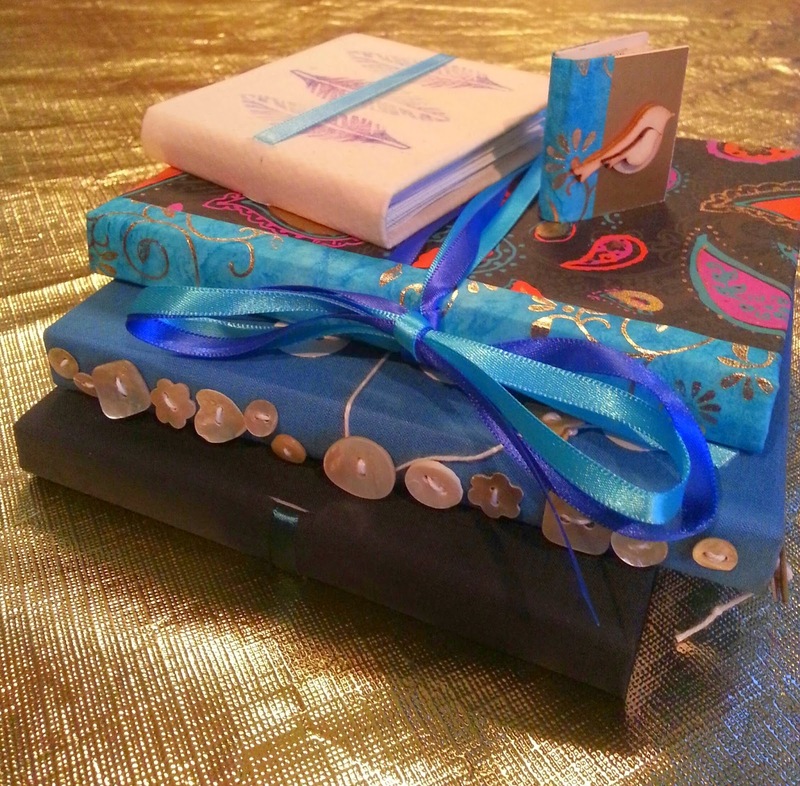 Still having some time on my hands I have been very lucky to play around with making more handmade books. And here are the results. Firstly here they all are. Five beautiful books mostly with ribbon closures. The one with feather prints is 8x8 cm, the next two down are both 12x16 cm and the square one on the bottom is 14x14 cm. 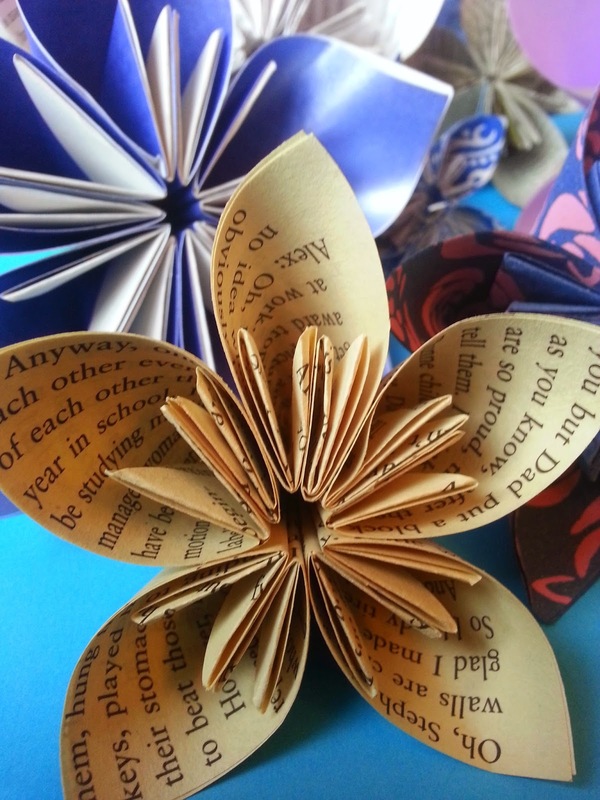 and inside the pages are made from an old poetry book (sorry Wordsworth!) 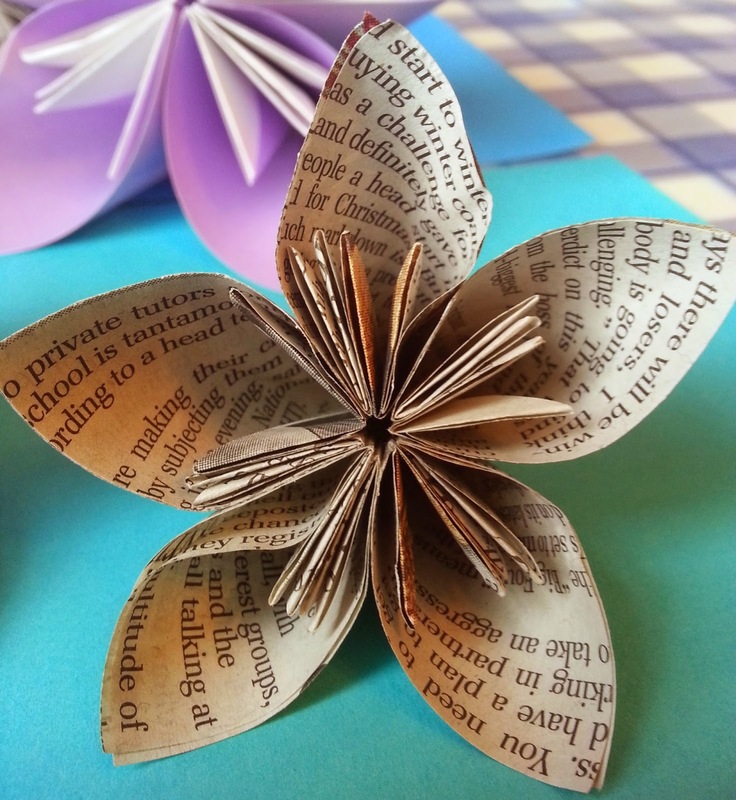 It has taken me a while to get used to chopping up old books and recycling them. 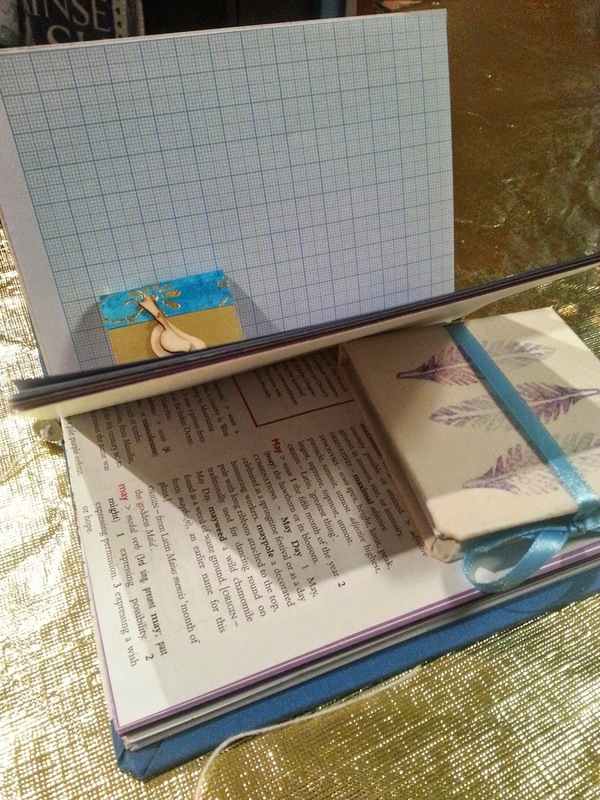 Inside some of the bigger books are quirky pages including graph paper squares and old dictionary pages. 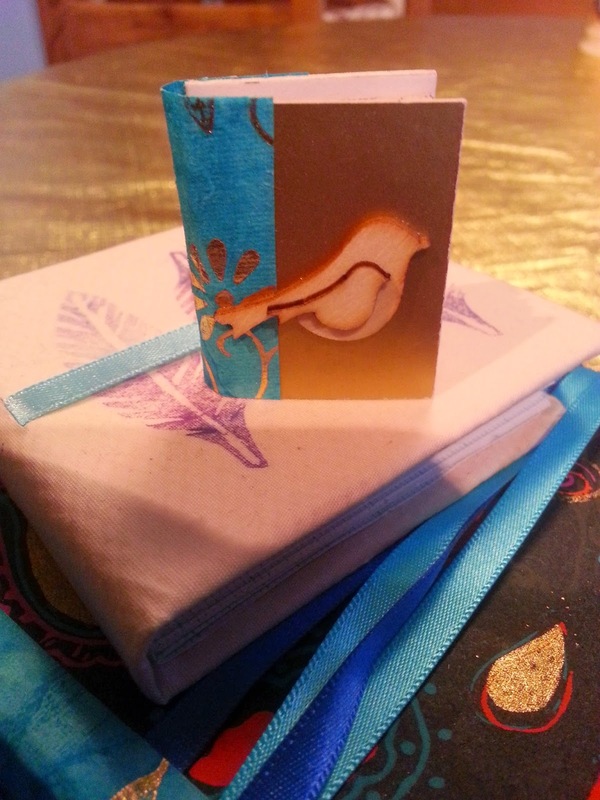 Here is an inside view of the little bird book, a mere 3x4 cm. 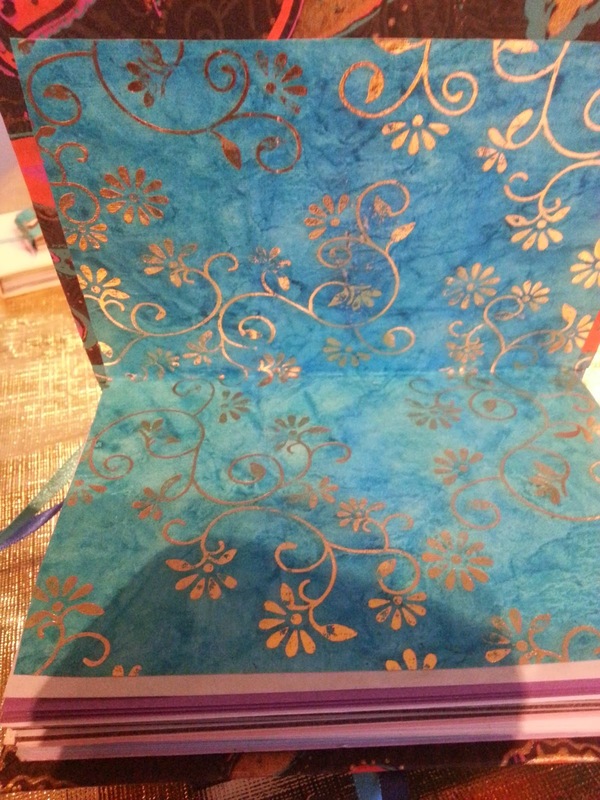 Beautiful paper imported from Thailand. Below is the paper on the inside covers (also on the spine outside). 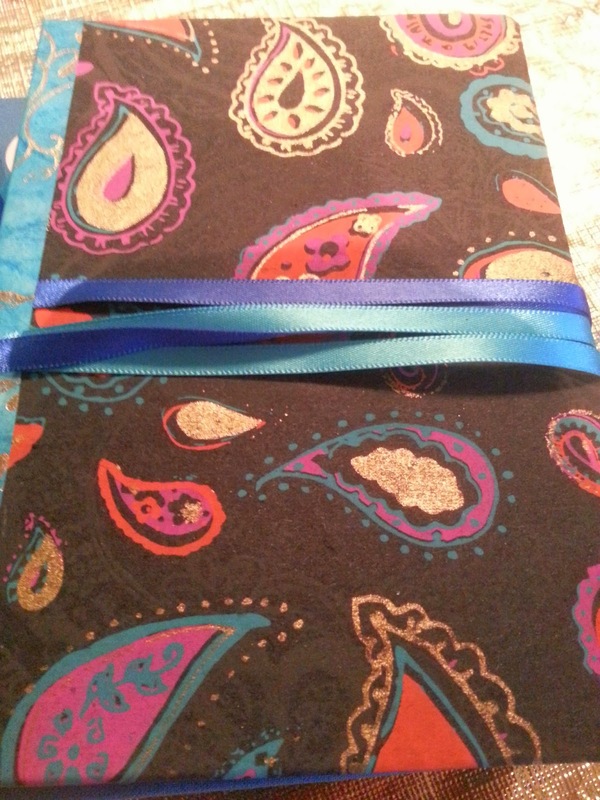 Here is a close up of the patchwork book. 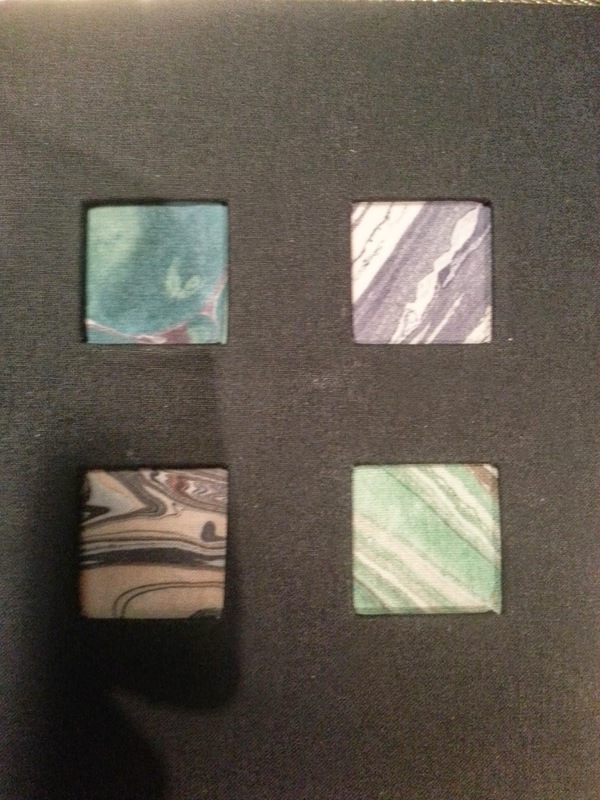 A friend recently gave me a stash of little marbled squares of fabric (3x3 cm) and I have been pondering for a while what to do with them. Another friend had the idea of using them in a book cover and here is my version. A bit fiddly as you have to cut out each window separately but well worth the end result I think! And the button book! Buttons are a particular favourite of mine and I only recently discovered you can get paper punches that cut out buttons! (why did I not know this before?) So the buttons on the front cover are paper and the buttons down the spine a real, sewn-on buttons, one of which is used to wrap the thread around to close the book. I also added a page marker with this book and it has the heart button on the end of it. Here is a shot of the inside pages, some plain, some coloured, some graph paper and some and old dictionary. It all adds to the fun. 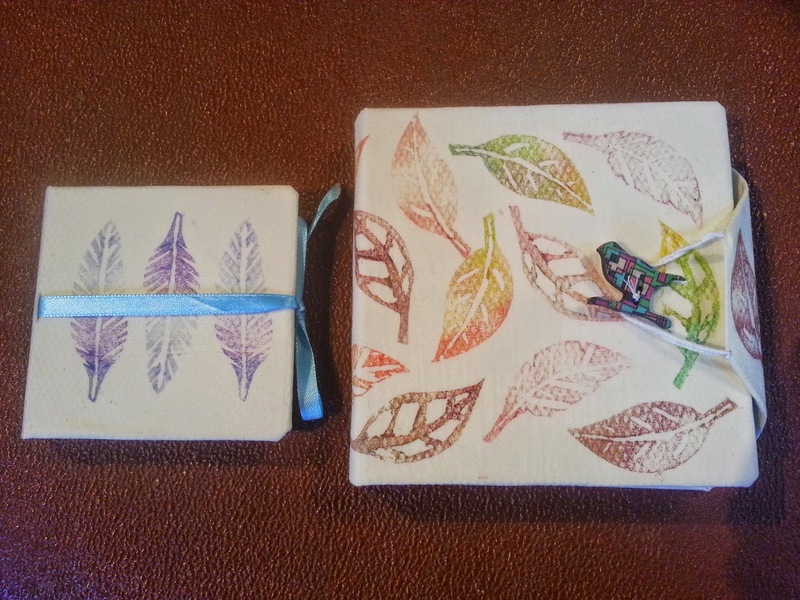 And finally the printed feather book, shown here with a printed leaf book with a bird button closure. This was a Christmas present. The printing is a bit experimental as I'm not sure how well it is going to stand up to wear and tear but I guess most things are experimental to begin with! Enjoy!